Publimetro: The role of Congress in declaring war. The role of Congress in declaring war. The Syria resolution in Congress is just like a bill. The debate over the use of force against Syria raises age-old constitutional and legal questions about the role of Congress in declaring war. "The Authorization of Use of Force in Syria"
WASHINGTON — In seeking authorization for the use of force against Syria, President Obama is asking Congress to do something it's done only four times since the Vietnam War. The debate over the use of force against Syria also raises age-old constitutional and legal questions about the role of Congress in declaring war. As soon as next week, Congress will vote on a "joint resolution" to authorize the use of force. 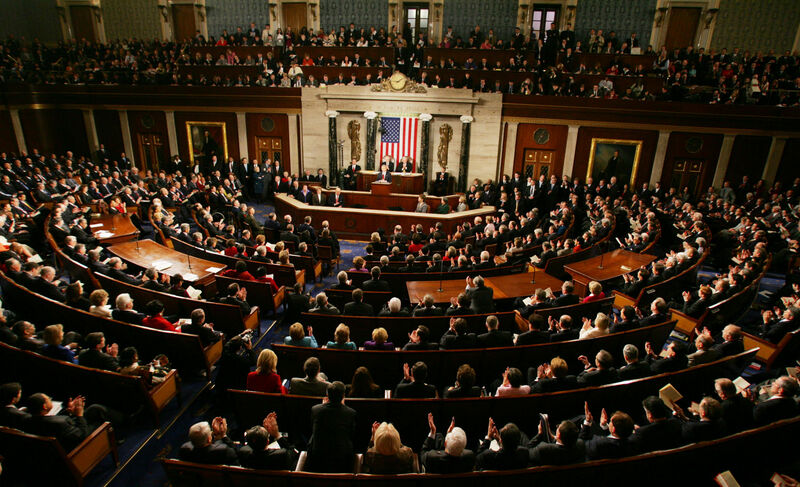 A joint resolution has the same effect as a bill, and the process is the same: Both chambers must pass identical language, which would then go to the president for his signature. The Senate held a hearing on the issue Tuesday and is moving first. The Senate's draft language, released by the Senate Foreign Relations Committee on Tuesday night, imposes a 60- to 90-day time limit and does not authorize ground forces. That proposal curtails Obama's original proposal, which authorized him to use force "as he determines to be necessary and appropriate." Sen. Robert Menendez, D-N.J., who chairs the committee, said the goal was to craft language that would give the president the authority he needs, but "tailor it so this isn't an open-ended engagement" and specifically wouldn't put American troops on Syrian soil. He proposed the resolution with the ranking Republican on the committee, Sen. Bob Corker of Tennessee. At least one other bipartisan proposal is circulating in the House. There could be a number of different resolutions debated, and either chamber could pass amendments. If the chambers pass different versions, they have to be reconciled and voted on again. The resolution might also be subject to a filibuster in the Senate. The late Sen. Robert Byrd, D-W.Va., was a master of Senate procedure and tried (unsuccessfully) to filibuster the Iraq War resolution in 2002. 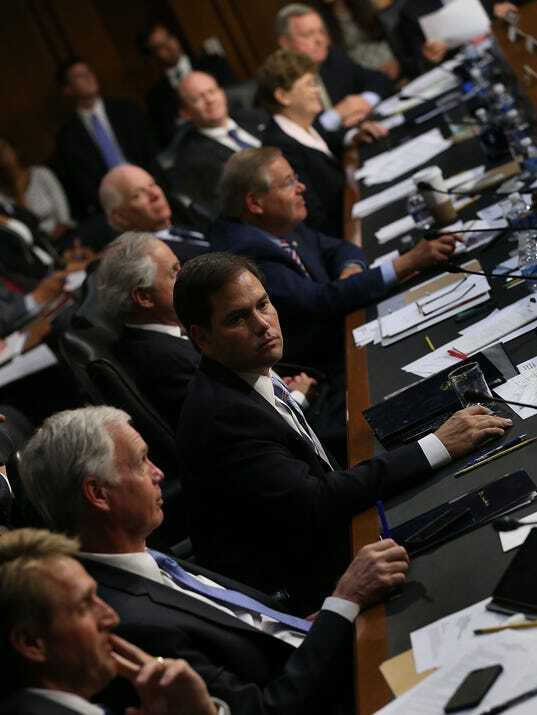 The Senate overcame his filibuster threat with a 75-25 vote to cut debate short. Sen. Rand Paul, R-Ky., the most recent senator to mount an actual filibuster, strongly opposes action against Syria. The War Powers Resolution of 1973 creates a fast-track process for congressional action with no filibuster. But those provisions appear to apply only to situations where the president has already commenced military action — not where he has asked for advance approval. So the resolution "probably" could be filibustered, pending a ruling from the Senate parliamentarian on whether the War Powers Resolution applies, said Adam Jentleson, a spokesman for Senate Majority Leader Harry Reid, D-Nev. In that case, Obama would need 60 votes to get the resolution passed in the Senate, not a simple 51-vote majority. Once passed, the resolution is binding law — but like any other law, could be subject to the president's interpretation of what it means. For instance, Obama has used the 2001 law authorizing the Afghanistan War to authorize drone strikes against terrorists across the globe. But there are other possibilities. If the resolution passes in one chamber but not the other, or if Congress otherwise fails to send a clear message, the president might take advantage of that ambiguity. "I'm sure he'd say this is a national security crisis. He'd say, 'I asked Congress. They weren't able to pass legislation. We're going to go ahead,'" said Louis Fisher, a presidential scholar with the Constitution Project. "I think he could do that, but that he would pay one heck of a political price." If Syria more directly threatens U.S. troops or interests, Obama could cite his authority as commander in chief to respond immediately. To stop him, Congress would have to vote to recall U.S. forces. While presidents have engaged in hostilities dozens of times in the past four decades, only four have been authorized by Congress: Lebanon in 1983, the Persian Gulf War in 1991, Afghanistan in 2001 and Iraq in 2003. As a senator and candidate for president in 2008, Obama took a limited view of the president's power to authorize a military strike. "The president does not have power under the constitution to unilaterally authorize a military attack in a situation that does not involve stopping an actual or imminent threat to the nation," he wrote in response to questions from The Boston Globe. But in 2011, Obama launched airstrikes against Libya without congressional approval, arguing that he was enforcing a United Nations mandate and that he wasn't putting U.S. troops in harm's way. Like most modern presidents — beginning with Nixon, whose veto of the 1973 War Powers Resolution was overridden in Congress — Obama has jealously protected the president's powers as commander in chief. No court has ruled on the issue. "Most people who study the presidency think Congress has a role in deciding when to engage in military action. Most people in the presidency don't," said Andrew Rudalevige, a professor of government at Bowdoin College. So Rudalevige said it's "notable" that Obama is now seeking authorization from Congress on Syria. But he quickly added that, "It's sad that it's notable that the president is following the Constitution." WASHINGTON, DC - SEPTEMBER 03: Sen. Marco Rubio (R-FL) (C) sits with colleagues during a Senate Foreign Relations Committee hearing on the topic of "The Authorization of Use of Force in Syria" September 3, 2013 in Washington, DC.